Astrophotography is a gear intensive hobby. There is no great “out-of-the-box” experience. 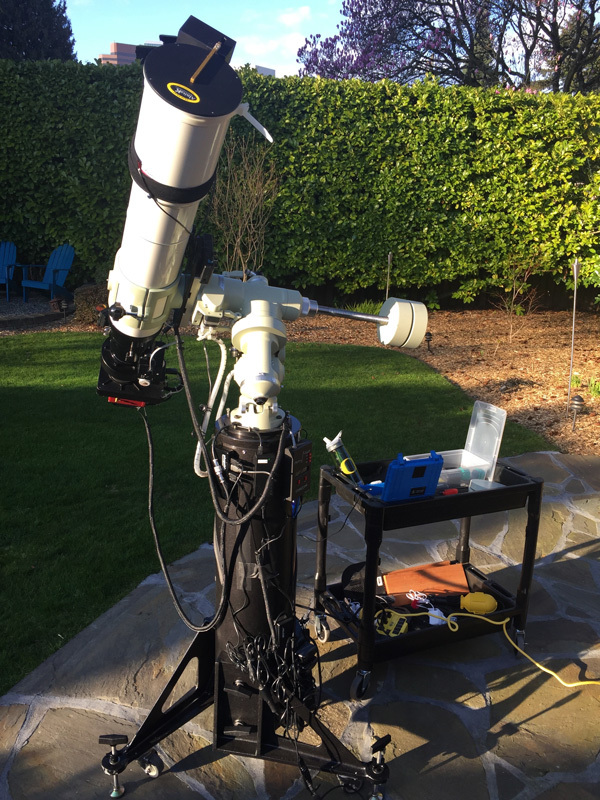 An observatory (even one without a roof) requires, telescopes, mounts, autoguiders, focusers, rotators, cables and all sorts of random bits of hardware and software. I have assembled my set up over the course of 10 years. For astrophotography quality gear is key. Quality does not mean expensive. Unlike the hi-tech world change is relatively slow in this space. Gear can last you decades. I found that used equipment is usually the better deal. Most astronomers take extra good care of their equipment so you can find some gems for relatively low cost. My first stop is always astromart.